Balance 100% Whey Protein is a blend of two highly bioavailable protein powders, which are rich in essential amino acids, and the infamous BCAAs. 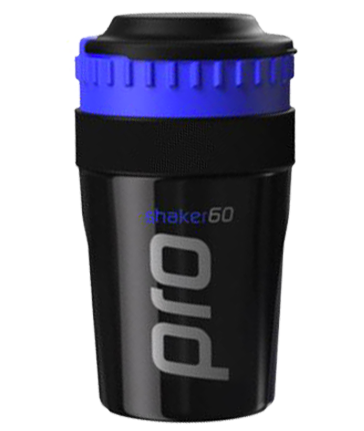 This product is ideally suited to supporting exercise performance and recovery. However, it may also be used to complement a diet that does not contain an ideal amount of quality protein. Whey protein isolates and concentrates are absolutely loaded with essential amino acids (EAAs). Whey protein is one of the most exceptional sources of these important amino acids yet discovered1. Within this EAA profile is a high content of one very important amino acid called leucine. Leucine, which is both an EAA and a BCAA, plays an important role in triggering the muscle and activating a process called mTOR. mTOR tells the muscle to uptake EAAs, except for tryptophan, and starts the process of muscle tissue repair, maintenance or building2. 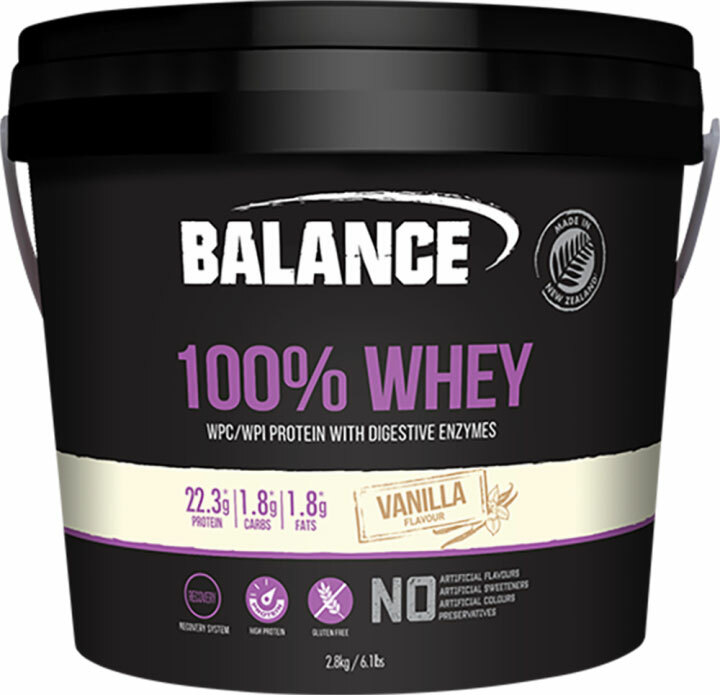 Balance 100% Natural Whey contains absolutely no artificial colours, sweeteners and flavours, thickeners, gums or fillers. Fear not! Balance has got your health covered. After all, you shouldn't have to fill yourself with chemicals every time you need to improve your protein status, right? The natural digestive enzymes bromelain, extracted from pineapple, and papain, sourced from paw paw, have been added to this formulation. These are fruit-derived and all-natural digestive enzymes. Fortunately, these enzymes specifically digest protein. This helps to improve ease of digestion and the bioavailability of the finished product. This means a more nourished YOU with each shake and, ultimately, better results. What is Natural Whey Protein Powder? Natural protein powders do not contain any artificial sweeteners, flavours, colours or preservatives, which are commonly found in protein supplements. Sucralose and acesulfame potassium are the two most commonly used artificial sweeteners on the Australian protein powder market. Natural protein powders can contain any combination of natural sweeteners, such as stevia, thaumatin, monk fruit extract, xylitol or any other sugar-alcohol, such as mannitol. The flavours are naturally-derived, rather than chemically synthesized. A product may also be unflavoured, and not sweetened, which would also qualify it as a Natural Whey Protein Powder. INGREDIENTS: Balance Protein Blend (95%) [Whey Protein Concentrate, Whey Protein Isolate, Emulsifier (Soy or Sunflower Lecithin)], Cocoa Powder, Natural Flavour, Digestive Enzymes (Bromelain, Papain), Natural Sweetener (Steviol Glycosides). INGREDIENTS: Balance Protein Blend (99%) [Whey Protein Concentrate, Whey Protein Isolate, Emulsifier (Soy or Sunflower Lecithin)], Natural Flavour, Digestive Enzymes (Bromelain, Papain), Natural Sweetener (Steviol Glycosides). INGREDIENTS: Balance Protein Blend (95%) [Whey Protein Concentrate, Whey Protein Isolate, Emulsifier (Soy or Sunflower Lecithin)], Natural Flavours, Vegetable Gums (Xanthan Gum, Guar Gum), Salt, Digestive Enzymes (0.4%)(Bromelain, Papain), Natural Sweeteners (Thaumatin, Steviol Glycosides).